How to Add Watermark to Photos - program by SoftOrbits. Batch Picture Protector is a software used for protecting you photos from unauthorized use. You can prevent copying your photo by someone. Watermarks are texts which appears in background of your photos. This software provides you some simple ways to add watermark to your photos. This will be useful for art workers like banner makers, artists and designers. Hence the customer can evaluate the photos. 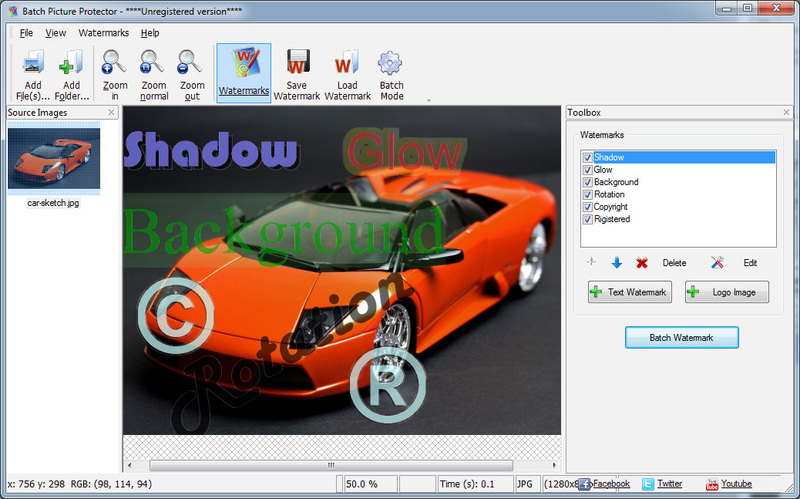 By using this software one can copyright to protect images. The user can provided with temporary watermark which can be removed at anytime. Edited images with watermark can be saved as separate file with same format. You can also add watermark to multiple photos. You can also create your own watermarks, save them and reuse using command line support. How to add watermark to photos? 1. First of all you need to install the Batch Picture Protector Software. 2. After installation completed you can find a desktop shortcut for launching the software. 3. On launching Batch Picture Protector, you can find that already two images have added to the queue which is located at the top of the screen. 4. There will be a preview area which help you to view the changes made. 5. You can find a "add image" button which enable you to add watermarks to your photo. 6. The tools will guide you to make watermark with different styles. 7. 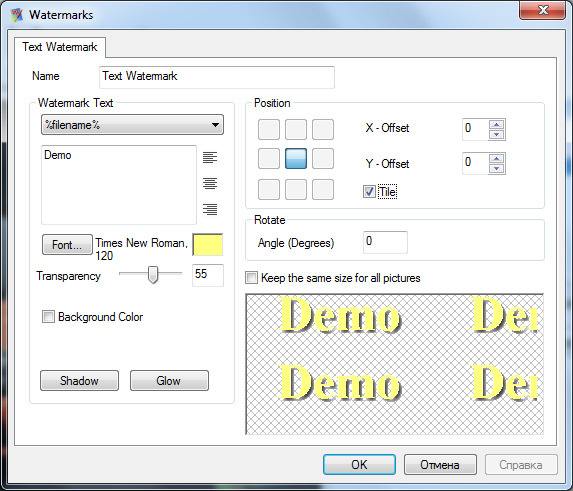 You can use text or image as watermark and set different levels of transparency using watermark file manager. 8. You can also add a same watermark to number of images. 9. Command line support enables program to add watermark to photos. 1. Supports all image projects. 2. Allows you to load and save your watermarks. 3. Transparency adjustment settings are allowed. 4. User-friendly-User can learn quickly to use the software. 5. Customization of watermark is possible. 6. Different levels of transparency to different watermarks.